Ventilation systems play an important role in expelling pollutants and contaminants that may bring adverse health effects to occupants. Ventilation systems play an important role in expelling pollutants and contaminants that may bring adverse health effects to occupants. Jerome Sanchez explores some key issues relating to ventilation systems and indoor air quality (IAQ) and how these can be prevented or redressed. Millions of people are working and living in buildings and homes with mechanical heating, ventilation and air conditioning systems. 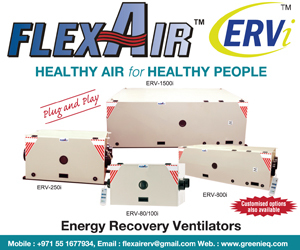 These systems are designed to provide air at comfortable temperature and humidity levels and to ensure it is free from air pollutants, which may be harmful to occupants. The processes involved in ventilation are said to be of utmost importance in determining the quality of the indoor air of a building or of a home. According to a document from the United States Environmental Protection Agency (EPA), titled Ventilation and Air Quality in Offices, ventilation is not just as simple as moving air within the building or introducing outdoor air into the building. “Ventilation,” explains the document, “is actually a combination of processes which results in the supply and removal of air from inside a building.” The processes, adds the document, typically include bringing in outdoor air, conditioning and mixing the outdoor air with some portion of the indoor air, distributing the mixed air throughout the building and exhausting some portions of the indoor air. The quality of indoor air may be affected if one of these afore-mentioned processes is inadequate. 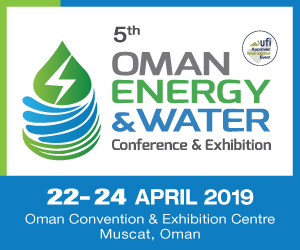 “The GCC has an extremely diverse ventilation market,” observes Jordan Baker, Regional Manager (Middle East Gulf), Greenheck, adding that different sectors, including commercial, industrial and residential require specialty products for their specific markets. Yannick Applasamy, Marketing Manager, Aldes Middle East, adds that the ventilation sector in the GCC is not as big as it is in other countries, like France. In his opinion, the observed lack of presence of ventilation systems in the GCC markets can be attributed to the seemingly unclear imposition of binding regulations in terms of ventilation. 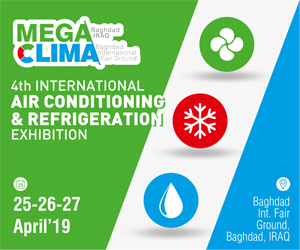 In the light of huge government spending on infrastructure projects, industry players are unanimous in saying that the booming construction sector in Saudi Arabia and Qatar bodes well for the HVACR industry, including the ventilation sector. “Saudi Arabia remains to be the leader in our ventilation segment with 10% growth predictions year on year,” reveals Baker. 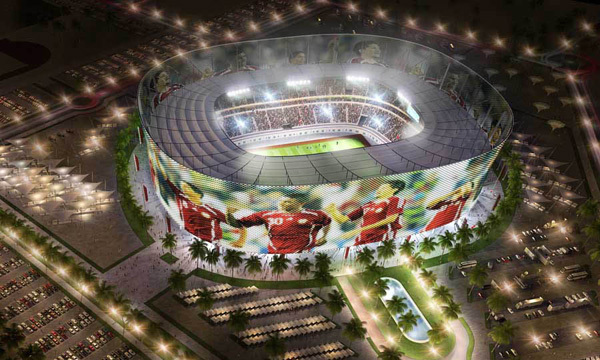 “Qatar’s preparation for the 2022 World Cup will ramp up the ventilation industry by around 2015.” He adds that Qatar’s new air conditioning standards, slated for 2013, will possibly usher in a new air conditioning market landscape. Andrew Kirton, Sales Director, Middle East, Novenco, shares that his company is currently focused on Qatar and Saudi Arabia and is actively looking for local agents to represent its brand in both countries. “KSA is a relatively new market for car park ventilation systems using jet fans in place of traditional ductwork systems, but most major consultants now recognise the many advantages to the client of providing more energy-efficient and effective systems,” announces Kirton, then adds that, as of the moment, his company is seeing a growth in the number of projects with specifications based on jet fan ventilation systems. In the context of Qatar, Kirton attributes the steady growth of the sector to the forthcoming World Cup 2022, although he notes that, at present, the construction sector is still moving relatively slowly. Steven Gobert, Export and Marketing Manager of Belgium-based Grada, says that his company is highly focused on the Saudi market and, in fact, has gone into a partnership with local companies, like Tamkeen. For his part, Aboobacker Aslam, Sales and Marketing Manager, Systemair Middle East, reveals that his company enjoys a positive response from the Saudi Arabian market and that it predicts a continuous growth in the Kingdom. In addition, he says that Systemair Qatar has been set up to cater to the present and the future megaprojects in the country. As the EPA document explains, indoor air pollution is caused by the accumulation of contaminants that primarily come from the inside of the building, although some may also originate outdoors. The pollutants may be generated by a specific source or several sources and may be generated periodically or continuously. “Common sources of indoor air pollution include tobacco smoke, biological organisms, building materials and furnishings, cleaning agents, copy machines and pesticides,” enumerates the same document. The EPA document suggests that controlling the pollutants at the source is the most effective strategy for maintaining healthy indoor air. However, controlling or mitigating all the sources of pollutants is neither always possible nor practical. Thus, ventilation, either natural or mechanical, is the second most effective approach to providing acceptable indoor air. Most of today’s buildings are constructed without open-able windows, and mechanical ventilation systems are used to exchange indoor air with a supply of relatively cleaner outdoor air. “The rate at which outdoor air is supplied to a building is specified by the building code,” explains the EPA document. Supply rates are said to be primarily based on the need to control odours and CO2 levels. As per ASHRAE Standard 62-1989: Ventilation for Acceptable Indoor Air Quality, the specified rate at which outdoor air must be supplied to each room within the facility ranges from 15 cfm/person to 60 cfm/person, depending on the activities that occur in the space. Baker observes that existing buildings, as well as a number of new buildings, commonly use split air conditioning units that merely recycle air within a particular space. “These types of systems do not draw in fresh outdoor air, hence leading to poor IAQ, and stale and stagnant air inside the occupied space.” This situation, he adds, can have adverse effects on the occupants, such as difficulty in breathing. Sandor reports two separate studies conducted in Sweden that establish the relationship of ventilation and IAQ. The first, called the Värmland Study, endorses the fact that ventilation has a significant impact on children’s health as the results of the study showed that children living in well ventilated homes had better chances of staying healthy. The other, called the Bamse Study, established that the presence of moulds, dampness and condensation in homes increased the risk of asthma. Intermittent airflow from HVAC systems may cause elevated indoor contaminant levels and may impair contaminant removal. Minimum ventilation rates should, therefore, be defined by air cleanliness and distribution, as well as temperature and humidity instead of by thermal conditioning needs. Air supply vents installed too close to building exhaust vents re-entrain contaminated exhaust air into the building, thereby increasing indoor pollution. In addition, placement of supply vents near outdoor sources of pollution provides a pathway for contaminants into the building’s ventilation system. Therefore, the location of all air supply vents must be carefully considered. Ventilation systems should be turned on several hours prior to occupancy and should be shut down only after the occupants have left, as an HVAC system that only begins to operate after building occupants have arrived or shuts off before the end of the work day, can cause an increase in building- and occupant-generated pollutant levels. Ventilation systems must be properly maintained to promote a healthy IAQ. Left poorly maintained, ventilation systems may possibly become sources of contamination. The EPA document suggests that humidification and dehumidification systems must be kept clean to prevent the growth of harmful bacteria or fungi. Commenting against the backdrop of proper system maintenance, Baker points out that maintenance personnel must consider the manufacturers’ recommendations when cleaning ventilation filters. He also suggests routine duct cleaning to remove dust, mould and bacteria from the system. Gobert endorses the view that maintenance and cleaning of ventilation systems do not only affect the quality of indoor air but also the performance and efficiency of the units. To encourage the proper maintenance of ventilation systems, he reveals that Grada has updated its general conditions, giving guarantee only on units that were maintained as they should. A ventilation system that is properly designed, installed, maintained and operated is essential in ensuring a healthy indoor air. In the absence of proper ventilation, contaminants and pollutants can build up and may cause occupant discomfort, health problems and reduced performance levels. As endorsed by the EPA and the industry players, regular cleaning and maintenance of filters and diffusers, along with testing and evaluation of the system and the indoor air, is of utmost importance to keep the good quality of indoor air.